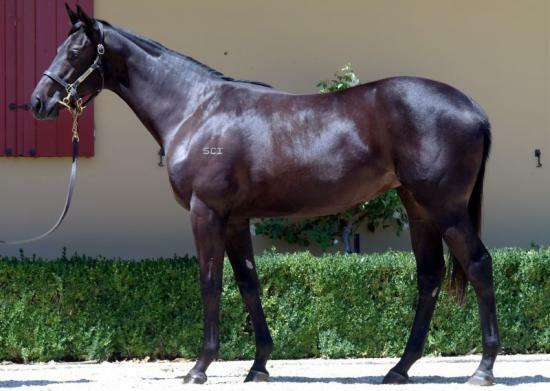 AMERICAIN (USA) (Bay or Brown 2005-Stud U.S.A. 2013, Aust. 2013). Head of the 2011 World Thoroughbred Rankings (Ext.). Champion Stayer in Europe, Australia & France in 2010. 11 wins-1 at 2-from 1400m to 3200m, VRC Melbourne Cup, Gr.1, MRC Zipping Classic, Gr.2, MVRC Drake International Cup, Gr.2. Half-brother to SP Amarak, SP Spycrawler and SP Last Born. His oldest Aust.-bred progeny are yearlings. LORNA'S LASS, by Bianconi. 2 wins-1 at 2-at 1400m, A$92,572, VRC Gail Jackson & Rosemary Keogh H., 3d MRC Slickpix H. This is her third foal. Her second foal is a 2YO. Her first foal is unraced. MOUNTAIN ROAD (His Royal Highness). 7 wins at 2000m, 2100m, NZ$147,325, Taumarunui Cup, L, Hawke's Bay Aon Insurance Brokers H.